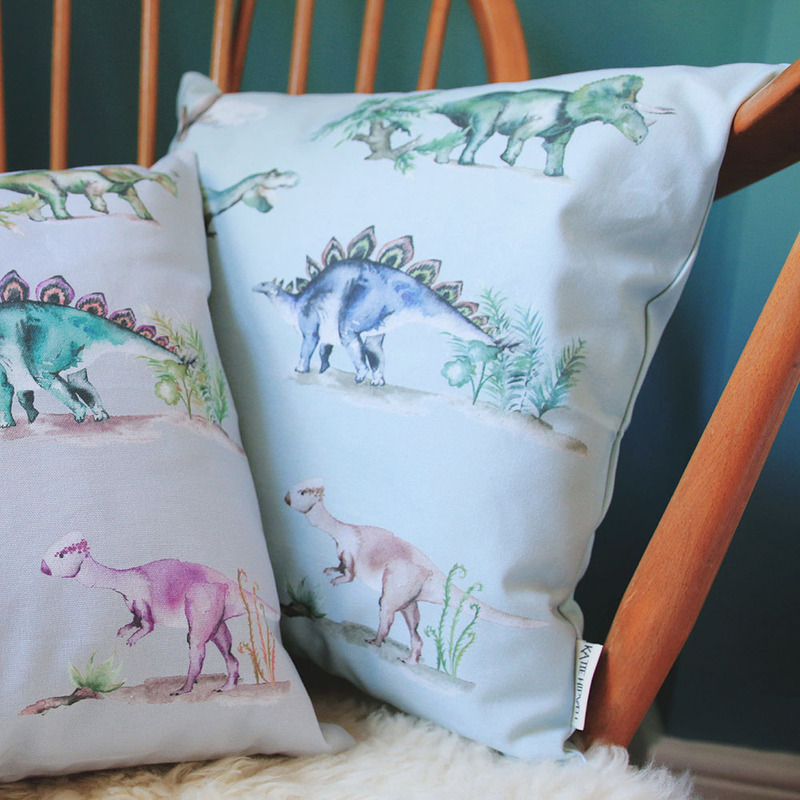 Dinosaur print needs no introduction! 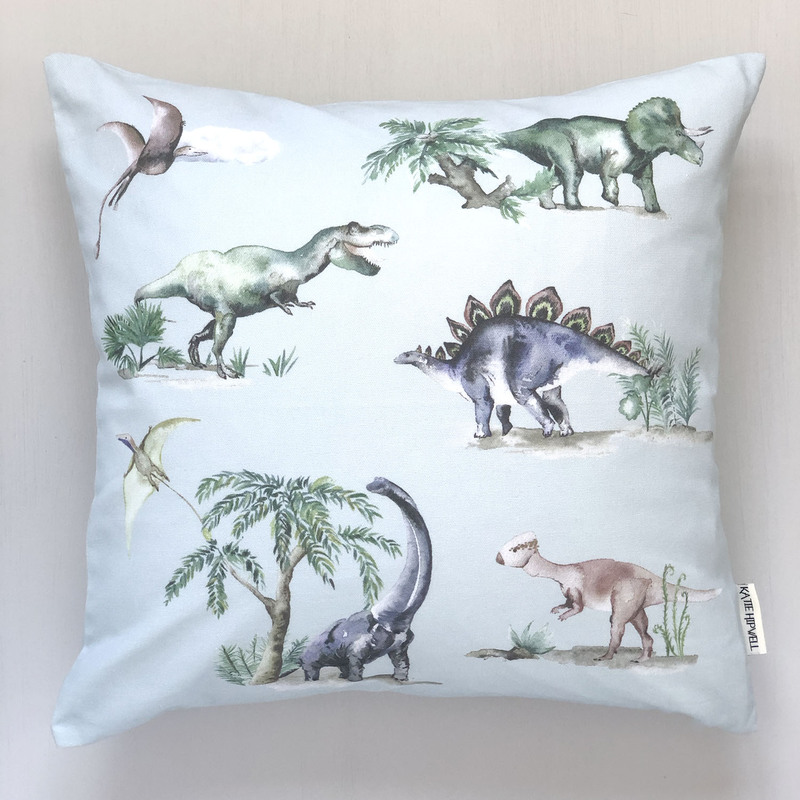 Bring a bit of fun to any child’s room with this quirky design, created using watercolour paintings of these fantastic creatures. Filling: 100% Duck Feather or microfibre on request. Cushions should arrive within 5 days. Also available as a fabric. if you would like a cushion made up from one of our other fabric designs then please let us know. Like one of our designs but want it in a different colour? Want the cushion to be a different size? Amendments aren't a problem - we can update a design or create something new just for you. Please get in touch.